After a jolly bank holiday weekend (see pics here at Instagram) I'm back at work on the podcasts. 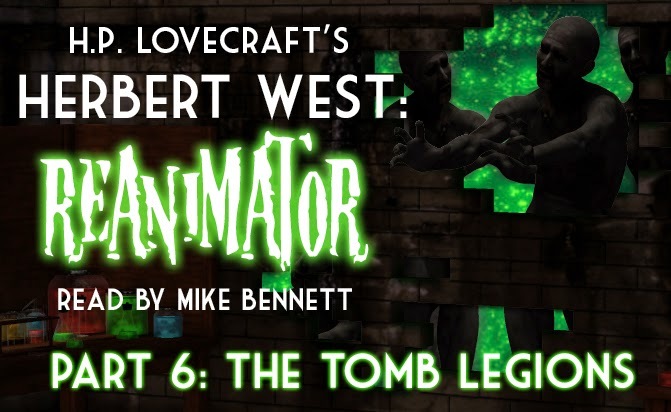 It's been a busy morning of putting together the final audio of Herbert West: Reanimator Part 6 for the $1 and over patrons. There will also be a full-length version of the story with all episodes in one recording posted on Patreon on Friday for $5 and over patrons. I did this already, but had to delete it because I'd accidentally included a rejected version of Episode 3 in it that even had a live mistake still in the mix. Oh, the shame.